Your lucky path has brought you to one of the most beautiful destinations in the world. Play the game – find pairs of Latvian landscapes under the tiles and win a trip to Latvia for four persons. transport costs, as well as guide services. Visa costs and other additional costs are not included. Gujarat Tourism Board invites both professional and amateur photographers to submit their photographs for ‘Rann Utsav Photography Contest’ on Facebook, Twitter & Instagram. If you have a knack to take amazing shots, you should be participating in this contest. 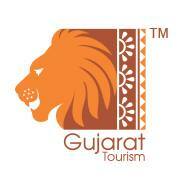 Entries should be sent before 15th February, 2014 to win an exciting trip to Gujarat with Family!